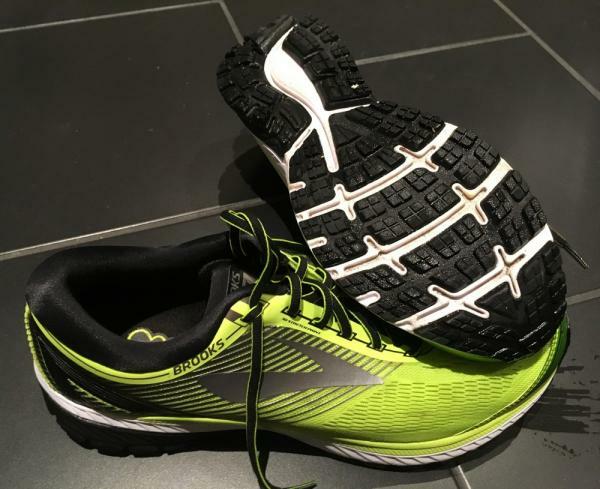 Some users appreciated the Brooks Ghost 10’s high-performance construction. A lot of testers with foot issues were happy that the shoe did not cause foot pain. There were people who recognized the above average shock absorbing capacity of the midsole. A majority of users stated that the shoe felt very comfortable. Based on a number of reviews, the sole unit felt sturdy yet comfortable and less bulky. Some narrated that they felt like they were running on clouds or air with the shoe on. Most runners mentioned that the shoe felt like it was well made. One person observed the sole unit coming loose after only wearing it four times. Some reviewers reported that the underfoot platform was too low to the ground and that the quality of cushioning was sacrificed. Someone was unhappy about not getting enough arch support from the shoe. Another tester noticed that the sides and top of the shoe were starting to deteriorate after merely two weeks of use. There was a reviewer who revealed that the shoe did not have an effective grip on wet surfaces. A few runners said that the quality of the shoe is poor. The Brooks Ghost 10 is a neutral running shoe that delivers both comfort and performance. It’s an ideal shoe for light training, tempo road running, long runs, and everyday use. Possessing minor yet significant updates from its predecessor, it brings runners a more cushioned, smoother, and adaptive ride. I am going to conduct a 50-mile long road review of the new Brooks Ghost 10. This will allow me the time to get to know these shoes fairly well and to run a variety of roads and distance, including some surprisingly steep Southern Indiana hills. There are no mountains on the map, but they are there if you're on a bicycle or running. The Brooks Ghost 10 falls into the neutral/cushioned category of a road shoe. The new Ghost is of medium weight and has terrific forefoot and heel cushioning. Adding to this already great cushioning is a well-shaped toe box that does not mock or tortures the shape of the human foot. This my third go around with the Brooks Ghost versions over the past 7 years, and I would say the best version to date. To begin, there is the HPR Plus, a very durable rubber compound in the heel area, while a blown rubber compound is used in other areas of the outsole, providing excellent cushioning and some very effective noise damping. The heel is segmented, helping to cushion the landing of heel strikers. There are deeply cut grooves in the outer sole, helping with flexibility and making for a smooth heel-to-toe transition. The Ghost 10 has an excellent footprint, helping to provide good traction. As with every Ghost version, they are the quietest shoe ever. This area is where the Brooks scientists seem to have been the busiest, dreaming up things like DNA and BioMoGo, two great innovations. BioMoGo is a Brooks foam that provides excellent cushioning, as most quality foams do, but the BioMoGo is designed to break down in landfills much sooner than most other foams, this makes the BioMoGo’s material very earth friendly. Most EVA foams last thousands of years in landfills. DNA is another component of the midsole, this material adapts to your pace, providing a firmer platform when you're running hard and softer as you slow. Brooks refers to their DNA as a non-Newtonian material. The way in which all of these midsole components work together, produce a light, responsive and cushioned shoe. The Ghost 10 uppers are made out of an engineered mesh with high-density printed layers called 3D Stretch Print. These "strips" of material do a good job of giving the shoe a bit of structure. This Brooks model was built using the highest quality materials at a time when many shoes are beginning to suffer from cost-cutting decisions. The Ghost, happily remains a high-quality shoe, with materials that stand out in the crowd. While the previous model, the Ghost 9 rubbed me wrong in the area just behind of my big toe, the version 10 does not. The toe box is well secured with stitches but you have to look hard to find any other stitches on these shoes. In this year's Ghost, a second lace-stay was added to keep the tongue in place, this worked extremely well. The tongue and collar are also very well padded, and provide excellent comfort. The laces are flat and somewhat elastic, adding to a comfortable fit, I would say that the laces are about 25% elastic. Miles Tested: 80 km / 50 mi. Tester’s Weight: 61 kgs / 146 lbs. These shoes did not hamper my running, they helped me along by not fighting my every step with stiffness or with worry about losing more toenails in tight toe boxes. My first outing was a dark and early morning 8k at -3 degrees C. The chances of being struck by a deer at that hour are greater than being hit by a car in this area of Southern, Indiana. You tend to think of things when you run, this morning I thought " It's no wonder I got my best half-marathon time wearing the Ghost." Like the new Brooks Adrenaline GTS 18, this shoe simply sails along as effortless as can be, it is a real smooth and quiet roadster, well suited for half or full marathons. The Brooks products are entering a period that may very well be their finest hour. Everything about this Ghost says "Relax, Cruise, and Enjoy". The Ghost is one of those rare shoes that bring out your best and actually makes running easier. You don't need to be at you best every day with the Ghost, just put them on and head out the door. There was no visible wear at 25 miles and, only slight noticeable wear after 50 miles. The previous version 9 is a tough act to follow, it is such a good shoe. The Ghost version10 is 26 grams lighter than the Version 9 while being slightly more flexible and having a more compliant-comfortable upper. I dare compare the Asics, a stability shoe with the Ghost, a neutral-cushioned shoe because they are so similar. The Asics GT2000-5 is stiffer and much noisier than the Ghost, it is nearly impossible to run silently with the Asics. The Asics Gel cushions your impact while sending the energy outward before bouncing you back up, the Brooks DNA cushions your impact but then stiffens as a reaction to your gait-pace-effort. The Asics has better cushioning for me, however, a faster runner interested more in speed than comfort might prefer the reactive Brooks DNA. I would rather have a shoe of mediocre parts expertly assembled that the world's best components simply thrown together in a haphazard manner. The engineered mesh over the forefoot of each shoe was misaligned, making these shoes clearly defective. Haphazard construction is a failure in quality control, but more importantly a failure in pride. Brooks could have done a better job than with the Ghost 10 assembly. The Ghost 10 is comfortable, well cushioned, good looking and durable and is well suited for any distance you care to run. This is the perfect half marathon or longer shoe that is suited for nearly everyone! After a year of using a shoe with mild support for my everyday running, because of my pronation, I decided to give a Ghost 10. The Ghost 10 by Brooks has a good reputation and was named ‘Editor’s Choice’ by Runner’s World magazine. My initial experience with the shoe was very positive and I was happy with the quality of the materials. I have only found the Asics MetaRun to be of comparable quality, but the price tag for the MetaRun is almost double than that of the Ghost 10. I must confess that I have treated my Ghost 10 shoes very badly, leaving the shoes on a balcony overnight in temperatures just above freezing and also leaving them in the sun for several hours. However, they have never shown any faults and have always performed well. The upper mesh is very soft. One important feature of an upper that, in my opinion, differentiates a quality shoe from an average one is the lack of plastic. The upper of the Ghost 10 doesn’t have much plastic and consequently, it is soft and durable. One thing that I really loved from the moment I first put them on was the lacing system, which has two additional lace loops in the tongue to provide more control when you tie the laces. The shoe is generally very comfortable and there is enough room to accommodate wide feet and big toes even in the regular version of the shoe. However, the Ghost 10 does also come in a wider and narrower version. The Ghost 10 is true to size. This is where most of the cushioning happen. The heel seems to be more cushioned than the forefoot. So, if you are a heel or mid-foot striker you will be alright. However, this shoe has been designed for everyday running, so it is very unlikely you are going to run on your toes. However, I did several speed sessions in them without any issues. The outsole is very resistant, and you don’t see any signs of wear and tear before 300km. The image below shows the outsole after 550km (340 miles). It’s not bad; I’ve seen much worse! The Ghost 10 is a long-lasting shoe. You start to feel some signs of wear around 400km (250 miles), but unless optimal cushioning is a must for you, the Ghost 10 is usable up to 600/650km (400 miles). The first areas of fault are the heel and the forefoot area of the outsole. Right now, I am thinking about retiring a pair after 550km (340 miles) of use, but before I throw them away I would like to do another 100km (62miles) of easy running in them. I have seen a very wide range of runners using these shoes, from very advanced runners to occasional runners. I believe, because of the great design of this model, the Ghost 10 is suited to all neutral and very mild pronators/supinators whether you are a pro or run 5 miles a week. In terms of workouts and running paces, I think this shoe is definitely more suited to an easy to steady pace than speed. The biggest limiting factor for a speed workout is the 12mm heel drop. When you try to run fast with these shoes on, the drop feels a bit cumbersome, but for a steady pace, it is okay. Weight is not a problem at all, UK 7 size is only 266 grams, which makes it one of the lightest shoe in its category. In terms of running surfaces, I found that the Ghost 10 is not just suitable for the road; I also tried them on trails without any issues and in freezing weather. However, I would share a word of caution on the grip after 350/400km (250miles). After this distance, the grip no longer functions very well, but for the first 300km (200miles) you can run on any surface you like. 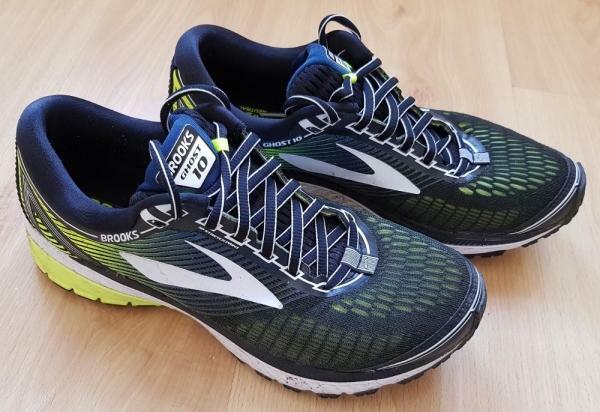 Compared with the Launch 5 and Glycerin 16, two other neutral Brooks models, the Ghost 10 is most suitable for the demands of everyday running. The Launch 5 has less cushioning and it is a light shoe that can be used for steady running and even long-distance racing. In contrast, the Glycerin 16 is more cushioned, so if you are a heavy runner, you might consider the Glycerin 16 because of its additional cushioning and slightly lower heel drop (10mm). Across brands, the Ghost 10’s closest rival is the Saucony Ride 10, which is the same price as the Ghost 10. In this case, the decision to go for one over the other is more personal. I did a gait test with both of them and the results were slightly better with the Ghost 10. However, in terms of the quality of materials and durability, you definitely get more value for your money with the Ghost 10. The Ghost 10 is definitely one of the highest-quality shoes I have ever owned for easy and steady running. Durability is excellent, and even if you don’t have a perfect gait you are going to be fine with these shoes. I have owned three pairs of this model, and as soon as the Ghost 10 goes on sale I plan to order another 2 pairs. If you are neutral or mild pronator/supinator, you should definitely give the Ghost 10 a go! The Brooks Ghost 10 is by far the most comfortable shoe I have ever run in. The shoe effortlessly absorbs the impact of both long runs and fast tempo sessions, whilst remaining responsive enough for racing. I’d have no hesitation in recommending this shoe. The Ghost is essentially Brooks' prime neutral cushioned shoe and has consistently appeared towards the top of the running shoe chart over the years. A neutral ride with good cushioning is exactly what I look for in a shoe, and so I felt it was time to move away from my go-to New Balance range of shoes, and see what all the fuss is about. I’ve now run approximately 200 miles in these shoes, and have put them through their paces on both long and short road runs, some trail running, faster intervals and a Half Marathon race, so I feel that I’ve tested them out thoroughly enough to review them. The Ghost 10 is available in a good variety of colors, from Brooks’ traditional Blue/Black through to a range of rather less conservative colorways. I opted for a bright Yellow / Black shoe which looked smart and bright, without being too garish! The Ghost 10 feels like a premium, well-designed shoe from the moment that you take it out of the box. Whilst the Ghost is certainly not a budget shoe, neither does it sit amongst the most expensive shoes in the shop. Despite this, the style, materials and construction seem to be of the highest quality. The cushioning in the heel cup and ankle support are very generous, together with the padding incorporated into the tongue. Run a hand inside the shoe, and the no-sew engineered mesh surrounding the forefoot of the shoe feels exceptionally comfortable. The midsole of the shoe appears substantial, and together with the sole, offers a thick section of foam cushioning, with the heel sitting up at 30mm, with a heel to toe drop of 12mm. The only negative I would point out in terms of what is otherwise a great looking shoe is the lack of reflective panels/strips on the shoe. I tested this shoe in the winter, with most running being done in the dark on Welsh country lanes where it is important for cars to be able to see you. I had initially imagined that the Brooks logo on the side of the shoe would be reflective as it appears to be, but only reflective part of the shoe is a very small oval piece labeled “DNA” on the heel of the shoe. As expected, my UK 13 (14.0 US) shoe weighed in heavier at 361g. Most importantly, the Ghost 10 does not feel heavy when worn; it feels very light when I put it on, and when running. I found the Brooks Ghost 10 to be true to size. The shoe felt exceptionally comfortable right out of the box. Even before tying the laces, my foot was held securely at the heel and through the mid-section of the shoe, and the cushioning in the heel cup and the tongue made the foot feel extremely snug. By contrast, there was plenty of room in the toe box to allow a little movement of the toes within the shoe. Initially, I was concerned that this may lead to too much movement when running downhill for example, but because the foot was held securely, there was never any cause for concern when running, as mentioned later in the review. An illustration of how securely the foot is held came when I arrived a little late for a group run just as the rest of the group was ready to leave. I jumped out of the car and joined them right away, and it wasn’t until we stopped a mile or so down the road that I realized that I’d forgotten to tie the laces! Within the first week of getting the shoes, I’d run over 50 comfortable miles in them, at different paces, and did not feel any adverse rubbing in any part of the foot. After a couple of weeks, I took a run without socks for the first time in a few years, and as expected the shoes were just as comfortable. I’d have no hesitation in recommending them to triathletes and other runners prefer running sock-free. The upper of the Brooks Ghost 10 is made from a “seamless engineered mesh” which makes for an extremely comfortable fit. The shoe holds the foot firmly, providing a feeling of security, whilst also allowing enough room for the foot to move a little where necessary, together with a very generous toe box. At the front end of the shoe, is a double layer of mesh. The inside layer is tightly woven, whilst the outer has larger holes. These layers move independently of each other, allowing sufficient movement of the foot during the various components of each stride. The mesh also provides good ventilation. Moving around the sides of the shoe, the two layers of mesh are overlaid with “3D fit print overlays” consisting of narrow bands and the Brooks decal printed onto the mesh. This provides the support within the midfoot area, contributing towards the feeling of security and holding the foot tightly throughout the stride. Towards the back, the shoe becomes much firmer with a good, solid heel cup, and a generous level of cushioning around the ankle. The tongue must be the most cushioned tongue I have found in a pair of running shoes. An added level of detail in the Brooks Ghost 10 is the provision of two lace loops at the top of the tongue. I’d never previously considered that a single loop partway down the tongue favored by most manufacturers may not be the most effective way of holding the tongue in place until I’d tried these shoes. The two loops ensure that the tongue is always held in place throughout any run. The laces in this shoe are almost “sausage-like” in appearance, with a little stretch, and while this makes no real difference to the feel of the shoe, it does mean that the laces stay tied without the need for a double knot. In all, the upper of this shoe is excellent, providing comfort and security together with breathability. The no-sew construction ensures no rubbing or soreness while the light mesh provides fantastic ventilation and keeps the foot cool. The sole of the Brooks Ghost 10 provides a 12mm heel to toe drop, which I was initially concerned about having done much of my recent running in a show with a 6mm drop. I needn’t have worried – the shoes feel great to run in, and I’m sure that the absorption, cushioning and energy return provided by the midsole mean that the additional heel-toe drop has little real significance. The midsole cushioning is provided by Brooks’ BioMoGo DNA running the length of the shoe. Brooks’ claim is that this “dynamically adapts to your stride, dispersing impact away from your body for just-right softness underfoot”. Whilst I’m sure there’s an element of marketing-speak in this statement, I must admit that the effect felt when running is just as described. The shoes feel exceptionally comfortable when worn, whether running long, at tempo or even walking. The outsole is made up of a “segmented crash pad” which essentially means that the outer rubber of the sole is split into sections rather than a single continuous piece of rubber. This does give greater flexibility to the shoe, and I’m sure this contributes to the smoothness of the ride, with the various parts of the sole being able to move somewhat independently of one another to reflect the movement of the foot during take-off and landing. The outsole is made up of blown rubber below the forefoot, and a harder carbon rubber under the heel, which has proved to be extremely durable. In the past, I have found that some segmented soles can be prone to early wear compared to a single rubber outsole. This has not been my experience to date with this shoe. My running style means that my shoes will generally begin to wear from the outer heel. The images, taken after 150 miles, show slight wear to the heel of the shoe. The right-hand shoe on which I land heaviest shows a some wear to the most vulnerable sections of the sole (pictured below), but there is still plenty of the durable outer rubber remaining, and I am confident that these shoes should last for at least 400 miles. The experience of running in these shoes far exceeded any expectations that I may have had. After 200 miles in the shoes, I am still impressed by the comfort every time I put them on. It’s not just a matter of how the foot feels within the shoe, but the way that the shoe contributes to the overall running experience. Even on a morning when the legs feel tired, perhaps after a hard run the previous day, the shoe seems to prevent the impact of the foot strike from being transferred to the feet and legs and within a few strides, even the most tired of legs are beginning to feel responsive again. Similarly, the feet feel as fresh at the end of a long run as they do at the beginning. Other than a few interval sessions, I haven’t done too much fast work in these shoes, but on the occasions that I have the shoes have responded exceptionally well. The only race I’ve done in them to date was a Half Marathon which was completed at close to PB pace. This included approximately 3 miles of steep descent. My experience of running this section at race pace in a variety of shoes is that the legs can take a real pounding, especially for a runner of my weight. In the Brooks Ghost, however, I found that the shoes absorbed the impact effectively, leaving the legs fresh (or as fresh as can be expected!) for the final few miles back to the finish. Furthermore, whilst there is plenty of room in the toe box, as identified above, the foot was held in place securely so that there really was very little movement of the foot in the shoe even when coming down a steep descent at high speeds. The shoe is designed for road use and is very well suited to the roads. The shoe can also be used on trails and does cope well with moderately uneven surfaces, holding the foot well, and providing sufficient grip. Clearly, the shoe wouldn’t perform well on severe trails, or muddy fells, but can easily accommodate a mix of surfaces. It has a very similar ride height to these shoes (heel height 30mm). Despite the similarities with these shoes on paper, however, the Brooks Ghost 10 delivers a superior ride in all aspects including comfort, cushioning and responsiveness. For runners who prefer to be closer to the road, I’d recommend the Fresh Foam Zante V3 as an alternative, or the Vazee Rush V2 which provides a more secure fit similar to the Brooks Ghost 10. Imagine your most comfortable pair of shoes or slippers; the ones you look forward to putting on after a long day, then imagine being able to run in them. This is what the Brooks Ghost 10 feels like every time you put it on. On top of that, it manages to hold your foot securely whilst paradoxically providing a feeling of roominess. I would recommend this shoe to any runner looking for a neutral, cushioned shoe, for both daily trainings, and for racing anything from 5k to marathons and beyond. In my own opinion, it is especially suited to higher mileage runners, and its superior cushioning makes it ideal for the heavier runner too. 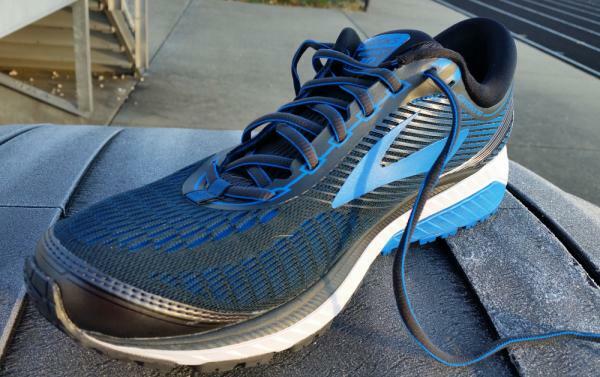 Brooks Ghost 10 Goes the Marathon Distance! For this to happen, stability, cushioning and comfort are mandatory in distance running shoes. Truthfully, Brooks shoes were on my "do not buy again" list because years ago blisters developed while breaking them in. Even after a friend told me Brooks is all she wears, I was extremely skeptical. Nonetheless, I gave them a try and started researching. You can shop at Brooks "Trailhead retail store" and see their "Green-Living Global Headquarters" when visiting Seattle, Washington. Even more impressive is how Brooks Company embraces their social and environmental responsibility. Minimizing packaging waste is one of many ways they strive to conserve resources. Community and people are at the forefront because a personal connection is made with every customer. For example, take a look at my shoebox to read my motivational greeting! The Brooks Sports, Inc's "mission is to inspire everyone to run and be active" and my box says it all! However, before I "LACE UP & GO" I needed to know why all the Brooks Ghost 10 hype! Weight = Men's 10.4 oz / Woman's 8.8 oz. When buying running shoes, examine and compare midsoles because this absorbs the runners' impact and provides support. Walk around the store with different brands on each foot. Soon you should be able to feel the Ghost 10 difference in comparison because of its spongy feel. When my Ghost 10's were put to the 20-mile test, my knees felt no distress. Even after heavy training, the midsole shows minimal signs of breaking down. Brooks definitely competes with other brands when it comes to a cushioned, supportive midsole. I'm not sure what their secret is, but when I "lace up and go" wearing Ghost 10, shoes are the least of my worries as I often forget I have them on. Maybe that is how they created the "Ghost" name! The very bottom, called the outsole, gets the most beating as it continually hits the ground. The shock and impact of the road surface are comfortably absorbed like no other running shoes I've tried. Therefore, I am confident Brooks Ghost 10 running shoes will not disappoint any customers. The comfort level right out of the box was suburb and Brooks immediately became my favorite short distance running shoe. Even though they broke in nicely, I still had no intention of running long distance in Ghost 10's. For some reason, I felt a neutral shoe wasn't up for the challenge, but I was wrong. When New Balance 860 v7's started hurting the bottoms of my feet so bad I started alternating shoe brands. I was constantly searching for a long distance running shoe to go extra miles. 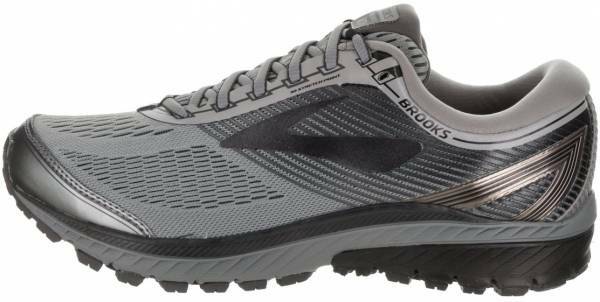 Remarkably, I kept gravitating back to Brooks became my favorite distance shoe when my feet quit aching. Finally, I could focus on other important things like mileage and pacing! I cannot say enough how super comfortable these shoes have been throughout some really tough long runs. If you have a marathon in the near future where you will be racking up some serious road miles, try Brooks Ghost 10. Undoubtedly, Brooks engineered a durable, heavy-duty outsole to absorb extra shock. You would think there would be a huge wear pattern in the forefoot, but look, there really isn't much to see except for some dirt! At this point, I had to confess to my loyal Brooks friend, how impressed I was. Even though she is a Brooks Adrenaline fan, Ghost 10 cushioning, padding and overall design score an "A" in my grade book! Consumers will notice Ghost 10's high-quality construction all the way around. The collar and tongue are above average and clearly surpass other brands. You can assess the difference in the store just by squeezing them. Once your foot slides in, the padding conforms to your foot and before long, you want to wear them all the time. If look closely at this picture below, you can see minimal wear showing on the outside heel collar. This is nothing to be concerned about as I'm running these Brooks into the ground almost daily now. It's awesome that USA Shoe Corporations, like Brooks Sports, Inc. are not afraid to roll out and pioneer new features. Runners notice and appreciate extra efforts and how detail oriented their designers are. For instance, Ghost 10's have black rubber overlays which are uniquely positioned and tightly secured. Some are sewn proportionately with a tight, double stitch. So far halfway through their life expectancy for a runner, the stitching hasn't unraveled one bit and in fact looks brand new after a good cleaning. Notice the eyelets are unique, roomy and square and the shoestrings are extra wide, super strong and attractive. My only complaint is, many runners like me, double knot shoestrings and truthfully they could be a tad longer especially when in a hurry. Nonetheless, my all time favorite upgrade is two loop holes uniquely placed near the top to keep shoelaces close intact. Having this new feature simply adds more security and provides a compact, snug fit around both ankles. Here's a close-up picture to explain exactly what I mean! While some runners can get away with neutral support, I still felt something missing after many weeks of heavy mileage. With the upcoming 40th Bank of America Chicago Marathon, I desperately need the perfect shoes. With a few weeks left, I switched out Ghost 10's sock liner for Dr. Scholl's running inserts. Thankfully, during my 3-4 hour long runs Dr. Scholl made a world of difference and you can see why! PRESTO, I'm officially attached to these Brooks Ghost 10's! Truthfully, they may very well be my Chicago Marathon shoe, but the verdict is still out. Runners will feel a roomy yet flexible toe box. The upper material allows air to flow freely especially during hot, humid days! Normally I alternate shoe brands for speed work and shorter runs but honestly preferred Brooks. Unfortunately, I couldn't wear daily because if Ghost 10's were running Chicago I definitely needed to preserve a bit. Some say the toebox and shoe, in general, is unattractive. However, when a friend walks in the gym debuting the same style and color as mine, obviously Ghost 10's are making a fashion statement among females. Take a look for yourself to see what you think and notice the air vents in the upper mesh. I love this concept, but most impressive is no rips, tears or holes whatsoever in their durable material! At this point, I know Brooks Ghost 10 will go down in history as my favorite summer training shoe! Time will tell if Brooks can withstand the upcoming winter elements of rain, sleet, and snow. My guess is the insides will continue to absorb any and all moisture. In fact, New Balance 860 v7's, but I still place a tea bag in each shoe after a really long workout. Ghost 10's heel counter delivers one of the best I've ever run in. I love how snug my heels are yet remaining extremely comfortable. When you squeeze Ghost 10's heel counter, you'll feel a difference in their unique design. The backs are sturdy and hold both heels firmly in place. This completely eliminates any annoying shoe slippage whatsoever. As previously mentioned, when running in Brooks the last thing you'll think about is your shoes! I wish I would've realized this sooner before purchasing new Mizuno Wave Rider 20's. Nonetheless, I am delighted with Brooks because 1 out of 3 shoe brands actually hit the jackpot, especially with heel counters staying in perfect form. The first sign of heavy wear and tear is shown by my run down heels. The breakdown always tells me when it's time to buy new shoes. No doubt, these shoes will withstand a couple hundred more miles which means they are definitely worth every penny. Cha-Ching! Brooks running shoes are definitely worth a second chance! Over time, the Ghost 10 completely won me over and I confidentially wore them during the Chicago, Illinois 40th Anniversary Marathon. As I looked around my start corral, it appeared Brooks Ghost 10 shoes were not worn by many runners. Nonetheless, I remained proud to represent Brooks's running shoes. I learned Brooks, Inc, works hard to compete with top sellers while preserving our environment to the best of their ability. Brooks is eager to listen and learn from wear-testers and strive to meet our stability, cushioning and comfort demands. No wonder Runners World Magazine named Brooks Ghost 10 as their "Editors Choice" in 2017 and I couldn't agree more! With running shoe technology on the rise, many innovative ideas continue coming down the pike. Until then, I'm excited to see what the future holds for Brooks, Inc. and I will continue to RUN, RUN, RUN! Brooks made it a point to reduce the weight of the newer version of the Ghost to make the shoe more lightweight than the previous Ghost 7. The 9th version of the shoe weighed approximately 10.6 ounces (301 grams), while this most recent version weighs in at around 10.4 ounces (295 grams). The design of the upper was revamped to give the shoe more of an updated look. The color palette used on the fabrics is more matching and two-toned. The flashy detailing on the shoe’s predecessor was removed, giving way to minimal yet sleeker upper accents. Runners can choose from a sufficient range of colorways. The new version comes in subdued colors as well as colors that are eye-catching. Whatever colorway the runner chooses, the option makes the shoe look versatile enough for street-wear. Brooks has made the mid-foot more structured by adding an adjustable saddle construction. Now, runners can experience a more secure fit when the laces are tightened. Lastly, guiding eyelets were introduced to the lacing system. These eyelets are found attached at the top of the tongue. Their main purpose is to hold the tongue of the shoe in place, preventing it from moving from side to side as the runner is in motion. The Brooks Ghost 10 comes in standard shoe sizes. Runners will be able to procure a pair in their usual size preferences. However, the width has more choices as the shoe is available in normal, narrow and wide widths. For gentlemen, the available widths are B - Narrow, D - Medium, and 2E – Wide. For the ladies, the options are 2A - Narrow, B - Medium, and D – Wide. The outsole of the Brooks Ghost 10 is made up of two kinds of rubbers – the HPR Plus and blown rubber. The blown rubber which is also featured in the Brooks Ghost 11, covers the forefoot area of the outsole. This material offers durability and flexibility to the shoe. On the other hand, the HPR Plus covers the heel area of the outsole. It offers durability and extra traction. Brooks’ Cush Pod Configuration is connected to the midsole. Not only do these structures enhance the cushioning of the shoe but, they also set the foot to a more balanced position from heel strike to toe-off. As a result, the forward propulsion of the runner is more efficient. On the midsole is a fusion of Brooks’ environmentally-friendly BioMoGo and the contour-mimicking DNA foam. It is called BioMoGo DNA, and it’s a piece of technology that offers premium adaptability. This midsole material has also been used in some Brooks running shoes like the Ghost 11. Runners will be able to experience a more responsive ride with flexibility, and a good amount of energy return. As an addition to the BioMoGo DNA, Brooks added another patented technology, the S-257 Cushsole. This compound material is used as an insole. It delivers extra cushioning from inside the shoe and makes the in-shoe feel more pleasant and comfortable. Another Brooks technology that offers flexibility on the midsole is the Omega Flex Grooves. These ridge-like designs are found on the sides of the shoe. They allow the shoe to move together with the runner without sacrificing the cushioned feel. Inside, the Profile Sock liner compliments the cushioning systems of the shoe. It’s an extra piece of padding that improves the in-shoe feel of the Ghost 10. The upper is made up of engineered mesh. It provides lightweight support to the dorsal part of the foot. The breathability of this material allows air to get in, keeping the foot cool during runs and training sessions. This material also possesses elastic characteristics, so it’s able to adapt to the shape of the runner’s foot. A few synthetic overlays were introduced to the upper to minimally help in maintaining the shape of the shoe. These overlays can be found on key parts of the shoe, namely the toe tip, the heel part and the mid-foot. Although the support of these overlays is lightweight, they still aid in delivering a better fit for runners. As with most Brook shoes, the Ghost 10 also has the adjustable saddle construction,n which further enhances the fit of the shoe, especially in the mid-foot area. This saddle tightens when the laces are tightened, making the fit snugger.